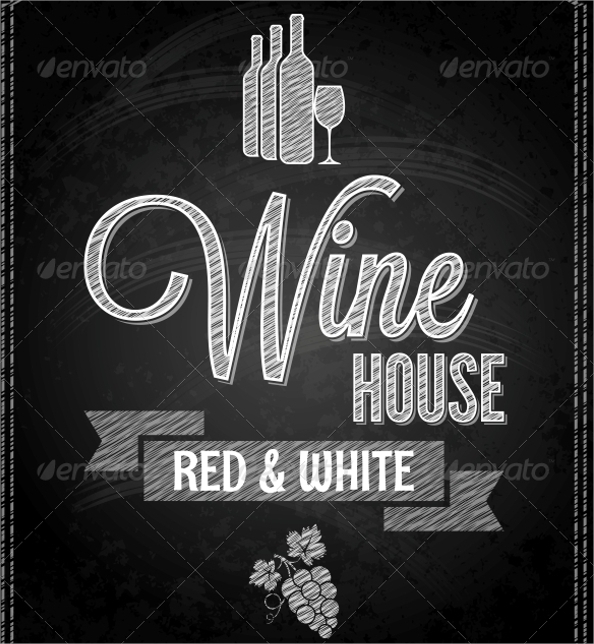 Wine menus are used in bars, pubs and classy hotels where customers expect more awesome wine options other than the red wine. 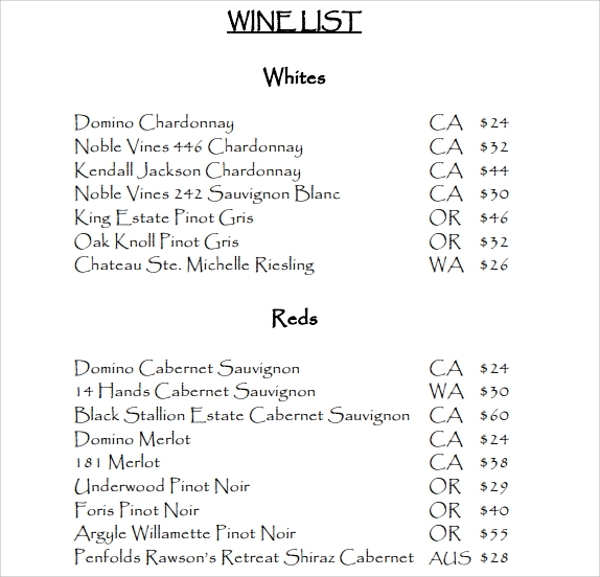 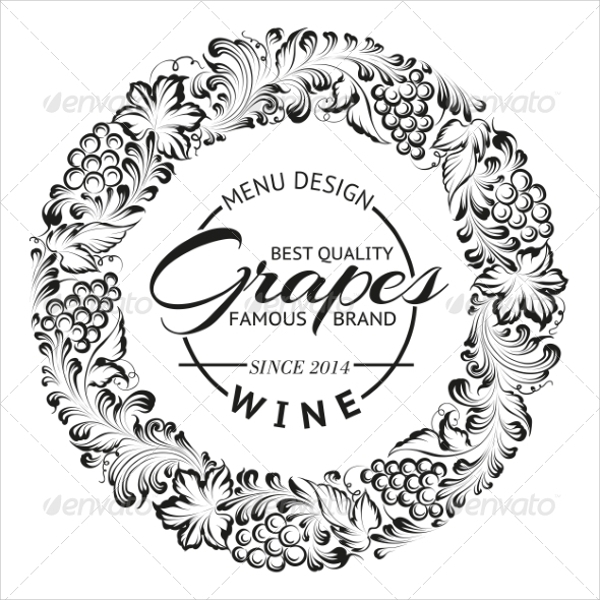 To meet their requirements, we represent the sample wine menu template. 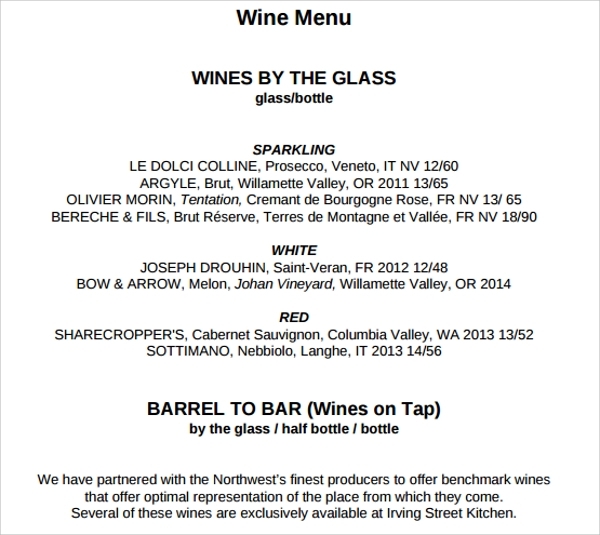 It’s time to make your wine Bar Menu Template look classy and stylish. 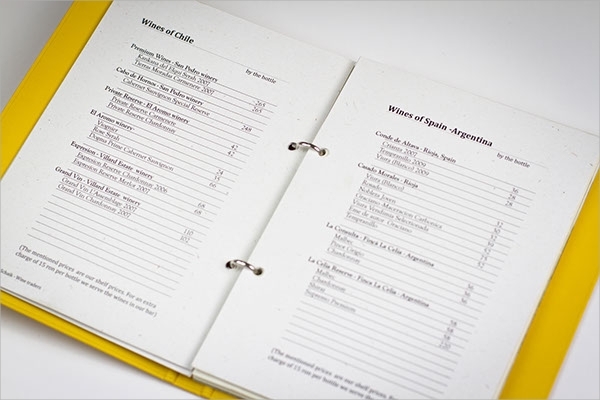 This menu covers the list of wines found in a bar. 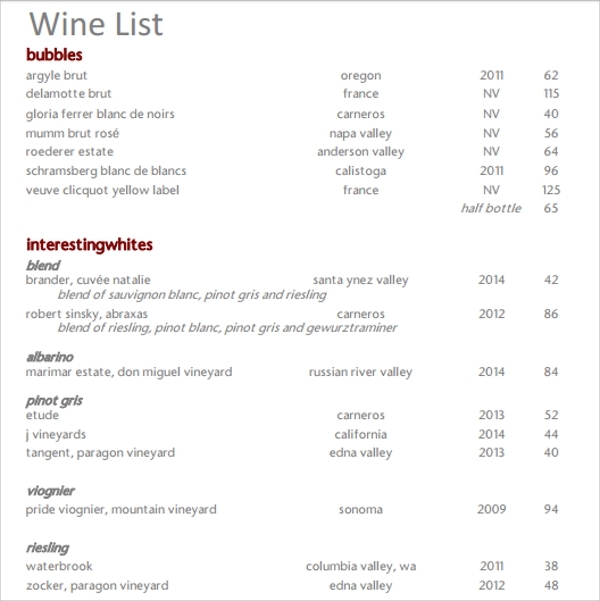 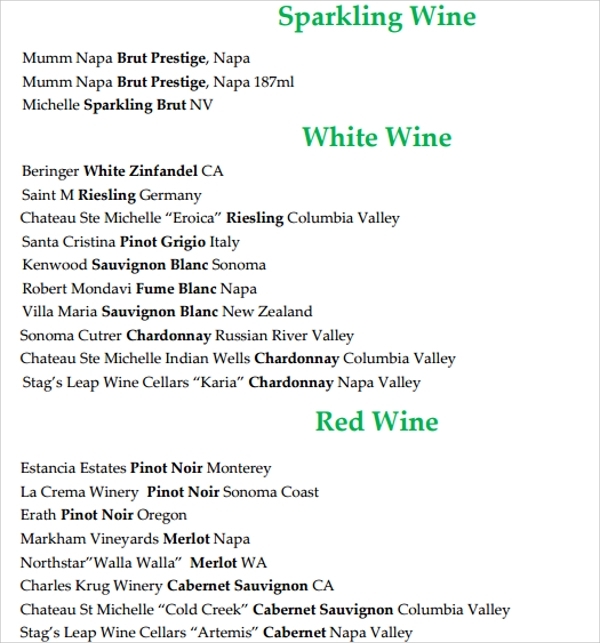 Sample wine menu template involves the list of wines out of which bar-vendors can choose only those which are available in their bar. 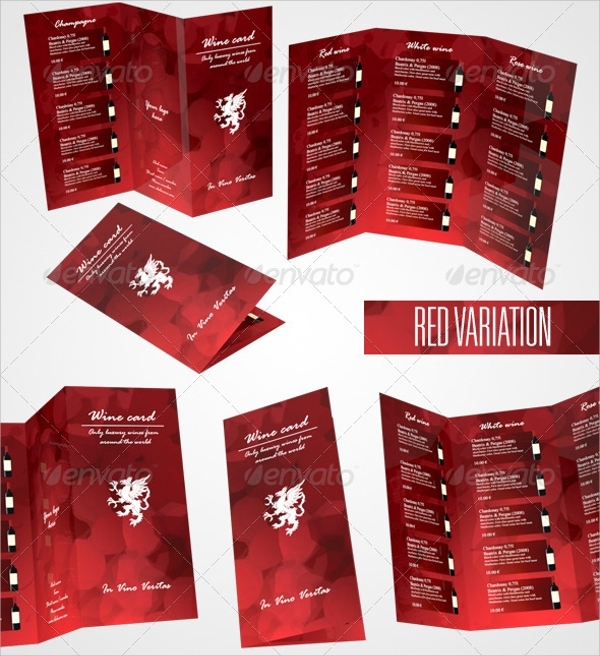 These formats include PDF and word and a lot more so that you can get the best resolution for your print and what if we say these all templates are editable too? 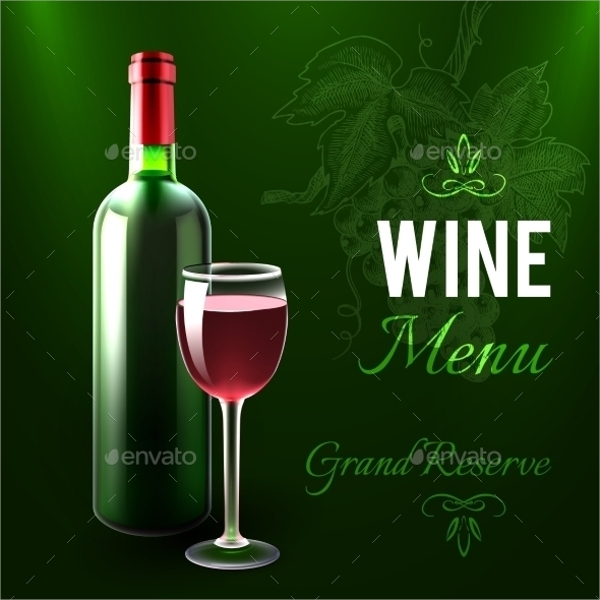 That means all your problems have been resolved now and you can have ready to use wine sample menu for free.